It’s that time of year again where students are looking to get off academic probation. 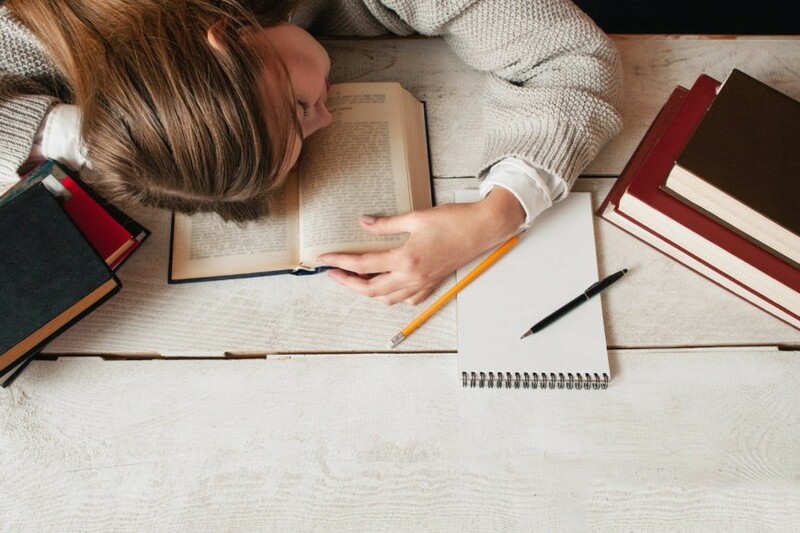 Here’s everything you need to know about academic probation, how to get off of academic probation and what to do if you’re academically dismissed. Google Trends on the search query ‘academic probation’ the past year. Academic probation is a warning from your school that your academic performance isn’t meeting the academic standards needed to remain in school. Being put on academic probation means that your cumulative grade point average (CGPA) and/or your semester grade point average (SGPA) has fallen below your school’s minimum academic score. At most schools, a cumulative GPA lower than a 2.0 places you in academic probation. At a community college, a cumulative GPA of 1.5 commonly places you in academic probation. What you will need to do is improve your cumulative GPA to be above your school’s minimum grade point average so that it is back to “Good Standing”. Otherwise you will be required to withdraw from your school if you don’t by the end of your academic probationary period. How do you know if you’re on academic probation? You will be notified by your school’s Registrar’s Office via mail or email. What GPA puts you in academic probation? How long is academic probation? Depends on your school. The time frame you’re given to bring your CGPA above the minimum CGPA score is in the fine print of your academic probation letter. Typically, you’re expected to clear your probationary status within one or two semesters. If you received an academic probation letter at the end of a school term, you will have to clear your academic probation next school term. Can you still get student loans on academic probation? Federal student aid can be affected by poor academic performance. That’s determined by your school’s financial aid office. Anytime you’re on academic probation, you’re at risk of losing financial aid because FAFSA (Free Application for Federal Student Aid) is dependent on maintaining satisfactory academic progress (SAP). That means students are only eligible for financial aid if they are in good academic standing. Scholarships can be lost too because the eligibility criteria for securing your scholarships may require you to to maintain a certain academic grade point by the end of the term or school year. It’s crucial to meet with your financial aid advisor to discuss plans that could help you retain your financial aid. Sometimes you may be given a list of conditions for you to meet to continue to receive financial aid. If your financial aid does get impacted, ask to appeal. The process of appealing your financial aid withdrawal requires you to draft a plan on how you will bring your grades back up. In this plan, you will have to detail the reasons for your poor academic performance and outline how you will ensure you follow your plan in the future. Does academic probation show on your transcript? At most schools, it does. Academic probation will be stated on your transcript under academic standing as “Placed on Academic Probation”. If you clear the academic requirements of academic probation, it will appear on your transcript as “released from academic probation”. In any case, when you’re placed on academic probation it will permanently appear on your transcript. There are a few exceptions where some schools may clear the status after you meet their probationary requirements. There are other cases where it only appears in your unofficial transcript. Speak with your academic advisor to be sure. Can you graduate on academic probation? You won’t be able to graduate if your CGPA is lower than the academic requirement to graduate (~60%). If you’re on academic probation, it will likely mean you won’t be able to graduate unless you raise your CGPA to be above (~60%). In some cases, you can be on academic probation for your SGPA (semester GPA), but meet your CGPA requirements to graduate. You should check with your school to see the exact grade point average you need to graduate as this may differ between schools. Can you transfer to another school while on academic probation? Yes, but the receiving school will be able to see academic standing as ‘on academic probation’ when your transcript is presented to them. This can negatively affect their decision to accept you since they will be aware of your poor academic performance. Meet with an academic advisor to achieve 3 things: (1) Become very clear on what your current CGPA and your semester GPA is; (2) learn what your options are; (3) draft a plan on how to succeed academically in your current term. Meet with your financial aid officer to see if your financial aid has been impacted. Learn what GPA you will need to maintain to continue to receive financial aid. If your financial aid status has been impacted, appeal it. Use a GPA calculator. You want to monitor your current SGPA and your CGPA. You will need to know what marks you need to earn in your SGPA in order to increase your CGPA to put you back in good academic standing. Doing this gives you a clear picture on what marks you will need to achieve in your classes to fulfill your academic probation grade point average requirements. Their job is to help you succeed academically. Academic advisors will know what courses to take in your program that would make your task of improving your GPA easier. They can advise on which courses to retake, what classes to drop, what support services are available to help you. Sometimes they can even contact professors for you to inform them of your situation. Don’t be afraid to ask for help. No one can do this for you. Take responsibility for the situation you’re in and make it into a meaningful learning experience on what it takes to succeed in college. Your life may have taken a wrong turn, but it’s not impossible to get back on track. Study hard, build better study habits, seek better study skills and take control of your school career. It means you’re unable to continue your studies at your school because the marks you have didn’t meet the academic requirements needed to stay. Academic dismissal occurs after unsuccessfully clearing your academic probation. Dismissed students won’t be able to enroll in future courses for 12 months at their school. In most cases, academic dismissals appear permanently on your transcript. If you’re in this position, find every opportunity to appeal your academic dismissal. How to appeal my academic dismissal? Appeal your academic dismissal by going to your academic advisor and asking for an academic dismissal appeal form. This form is for you to explain why you were in academic probation in the first place, the reasons that led you to be academically dismissed, why you should be granted an exception, and how you will get back on track. Follow the guidelines of your academic dismissal appeal form and answer honestly. Spending the time to write an effective academic appeal letter is crucial. An academic appeal letter stands between you being able to stay in school and being dismissed. Using pointers from Simon Fraser University’s post on how to write effective academic appeal letters, we padded examples here to better assist you in crafting an effective academic appeal letter. Documentation Include as much documentation as possible to support your claims: extenuating circumstances, large workload, balancing multiple time commitments Provide medical documentation, email transcripts of your correspondence with professors, work pay stubs indicating hours worked, etc. Deadlines matter Meet your deadline. March 17th is March 17th. Hand it in before then. You wait to hear back. Good luck.